...of the last real President that the United States has had, and probably will have for a very long time to come (if ever again). During the past week I've read a lot of "analysis" about the life and career of Ronald Reagan. Much of it done in the name of "demythologizing" the man: looking for the "true" Reagan, as it were. Most of it having to do with his actual record on taxes and the size of government (something that he was famously on record for wanting to dramatically reduce). President Ronald Reagan destroyed the Soviet Union without firing a single shot or losing one life in combat on either side of the Cold War. It didn't see fruition until the year after he left office. But it was the policies that Reagan began during his term that led to Russian communism bankrupting itself to the point that it could no longer be sustainable. Communism was going to fail regardless (it'll always look good on paper but in practice, well...). But its slow descent into ruin would have on its own most likely given the Soviet government enough desperation to conquer more territory... at terrible cost. What happened to accelerate the Soviet Union's collapse? Three words: Strategic Defense Initiative. Yeah, the so-called "Star Wars" scheme. I'll never believe that Reagan seriously thought it was ever going to work. But the sheer idea of SDI was enough to drive the Soviet economy - already stretched thin 'cuz of its overwhelming military budget - to even worse levels of fiscal stress. That might be the greatest stroke of statesmanship genius in any living memory. Certainly one of the finest in American history. And if I need any more reason to think so highly of Reagan, it is this: sitting on a shelf just above my computer monitor, is a sizable chunk of the Berlin Wall. The wall that was going to last forever. The most tangible symbol of the Cold War. I'm looking at that stone-sized fragment of the wall even now: smeared in green and blue graffiti. "Tear down this wall! ", indeed. So on this day, The Knight Shift raises a toast in memory of Ronald Reagan: All American. Thank You! I was arguing that SDI bankrupted the Soviets in my history class last week. Glad to find someone else who understands that as well. Yes, Reagan truly was our last great president, if only someone of his caliber was here today. I had the distinct honor of seeing him give a speech in person as President, and it is one of my cherished memories. I only take exception with your comment that the Cold War didnt cost any lives - it did, many, over many years. Look at the lives lost during the Berlin Airlift, assorted small skirmishes in the air over Russian borders,spies killed, and, most tragically, the loss of Flight 007 where a civilian airliner was shot down in cold blood. The USSR was truly an evil empire and the world has President Ronald Wilson Reagan to thank for helping hasten their demise. Happy Birthday Mr President, we miss you. I never said the Cold War was bloodless. As you said, there were many who perished one way or another over the span of that "conflict". The downing of the South Korean airliner was especially tragic. That's the reason why I wanted to make clear that there were no combat deaths between the U.S. and the Soviet Union on Reagan's watch. When for decades even the most reserved prognosticators were seeing an inevitable nuclear war between America and Russia. I'd dare say that most of us were expecting that to happen sooner or later. 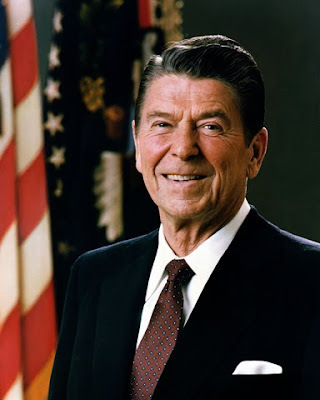 Reagan, great student of history that he was, understood that a military victory over the USSR was impossible and foolish to even consider attempting. Communism would extinguish itself. All that we needed to do was "help it along".